Super Kixx Pro is a Bubble Soccer game that allows for competitive play for all ages. It has been modeled after the original Super Chexx game with carefully crafted audio to sync with the game. 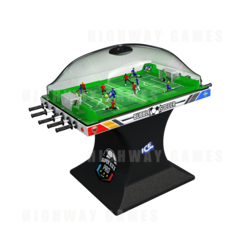 Super Kixx Pro allows players to pass, shoot and score if as they were playing themselves in order to beat their opponent.